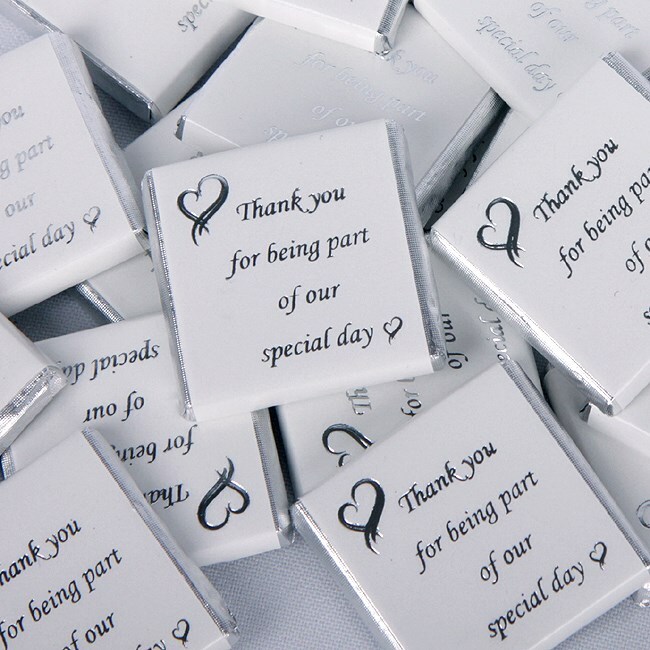 Designed and made in the UK exclusively for UK Wedding Favours by an established family chocolatier. These mouthwatering milk chocolate squares are a great way to say "thank you" to your guests. Place inside your favour boxes, organza bags or scatter on the tables. You could even put 1 or 2 inside your Thank you cards. 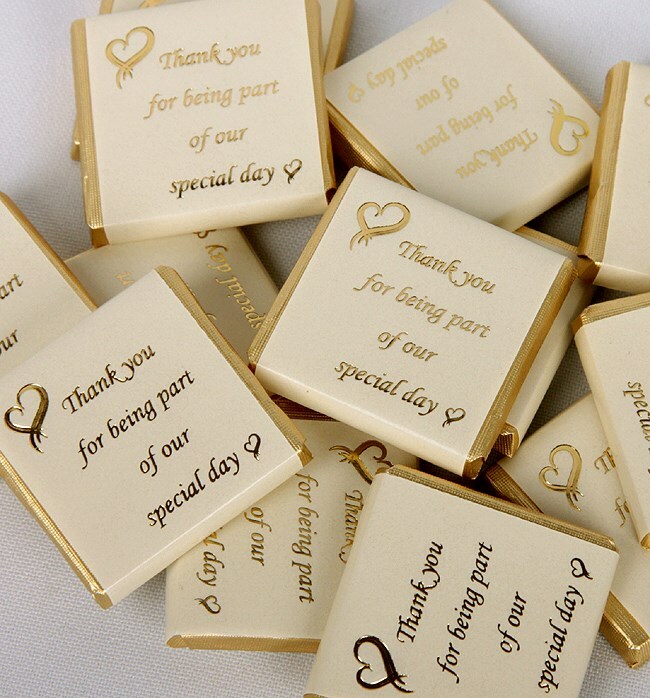 Smooth milk chocolate square covered in Gold or Silver foil and banded in an Ivory or White cover with lettering saying "Thank you for being part of our special day"
Chocolates are best kept in a cool dry place out of direct sunlight 10 -18 degrees Celsius. We recommend chocolates are purchased no more than 9 months prior to your function. Our Chocolate 'Special Day' squares are suitable for Vegetarians and are Alcohol Free.